Isn't this a fall item, you ask? Perhaps. 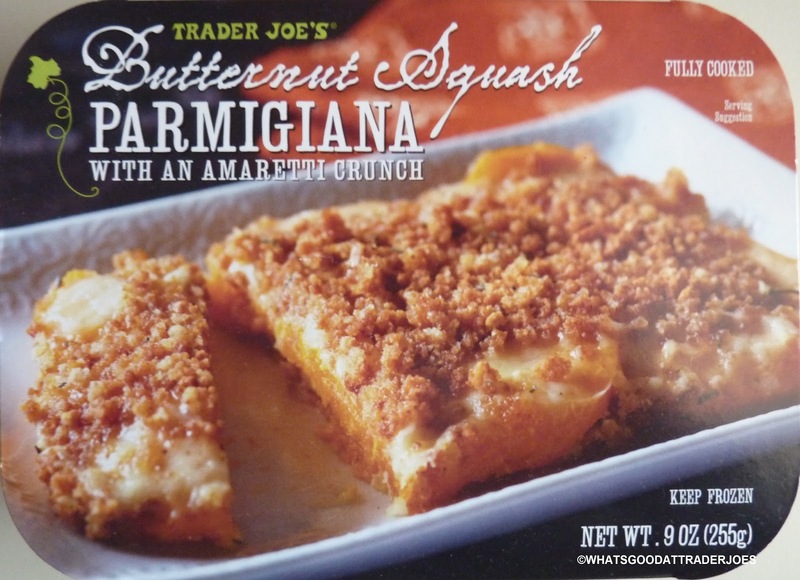 Butternut squash does seem rather "harvesty," but in actuality, it's a winter squash. And when it's parmigianafied and topped with crunchy amaretti, it's downright delicious. 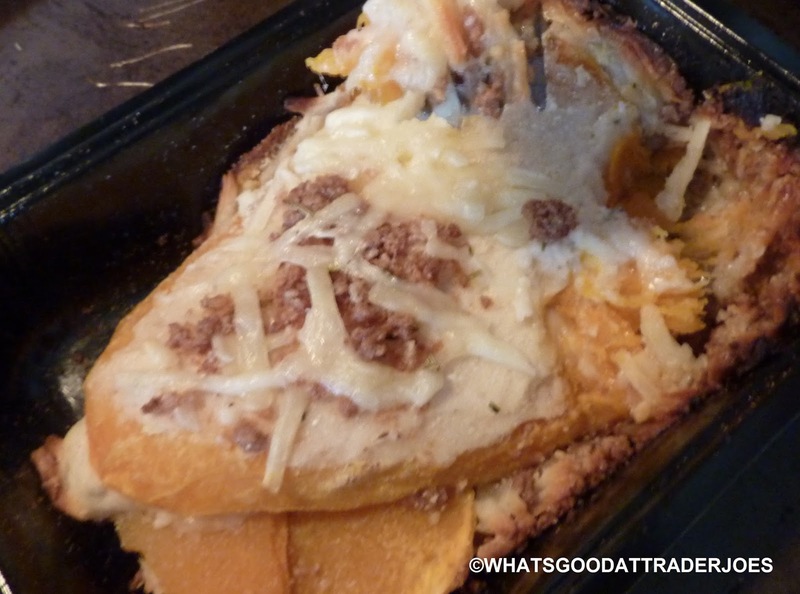 After reading the box thoroughly, we discovered that the included tray is, in fact, "ovenable." Thanks to TJ's, that word is now part of the American lexicon and we shall no longer have to thread together really awkward phrases like, "can be put in the oven confidently without fear of bursting into flames." So we did. We ovened the tray. And then we ate the dish straight out of the tray. One person could easily consume this dish by him or herself, but hey, it's the holiday season and sharing stuff with people you love is all the rage apparently. It's hearty, flavorful, and slightly sweet. I'm not sure what we were expecting, but Sonia and I were both very pleasantly surprised when we shared this double-serving tray of gourmet butternut brilliance. I guess cheese, squash, and cookie crumbs were the last three things either of us would have ever thought to merge into a single dish. But somehow it works. To describe the taste to you would be extremely difficult, since I've never had anything quite like it before. It actually tastes like its constituent parts, but they blend together oh so much better than I would have ever imagined. It's a bit on the fattening side for a vegetable-based meal, but if you're an adventurous eater, we think it's absolutely worth a try. I'm sure we're bound to get some dissenting opinions on this one, but as for Sonia and me, we're fans. Sounds very interesting! Cookie crunch is making me to buy it soon! Yep. Amaretti cookie crunch. Good stuff!